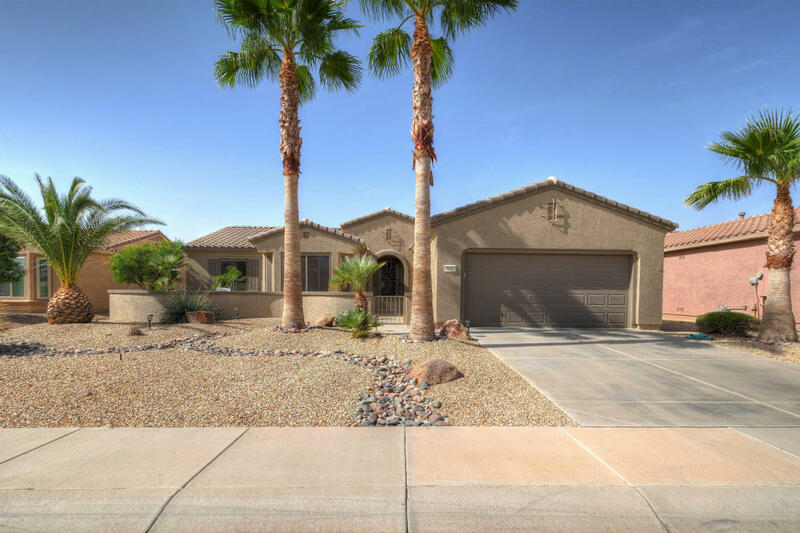 Stunning Borgata, gated front courtyard, 2 Bedroom w/Den, shutters throughout, 18'' tile, carpet in bedrooms and den has closet so door could be added to make 3rd bedroom. This much desired floor plan has the split bedrooms with Master on R and guests on left side of home. Kitchen has stainless appliances, corian counter tops, maple cabinets and bay window in the nook.The master bedroom has bay window, double sinks in bath, large walk in shower. The doors are the raised panel. Fully fenced private back yard with extended patio and gates on both sides.A/C has been replaced as well as water heater. This is a must see in beautiful Sun City Grand.